← If You Sit With a Company of People, Desire Not the Food. It Takes Only a Brief Moment to Restrain the Heart. 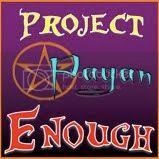 I’m a little upset with someone’s comments on a post I had created on the Pagan Forum. I merely wanted to ask how other people interacted with their netjer and how the netjeru they worshiped interacted with one another. I had mentioned that Sekhmet and Hwt-Hrw are on opposite sides of the room from one another (now) and that Sekhmet was busy making faces at Hwt-Hrw from across the room. I didn’t define why she is doing this and I didn’t say “making faces” but that she was “making fun of” Hwt-Hrw. This started a very lively debate that kind of irritated me with the initial comments of someone. The debate rages/ed on about how it was possible that I wasn’t actually interacting with a netjer at all because it didn’t sound like something Sekhmet would do. I’m insulted on behalf of her (although she’s smirking-ly amused by all of this) and really wanted to lash out. However, I didn’t because I know that everyone has an opinion about something. 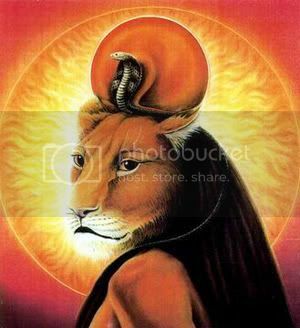 However, if the person in question doesn’t worship Sekhmet as devotedly (and bitchily) as I do, then how are they to know that it isn’t Sekhmet who is making the faces at Hwt-Hrw? I think I’m offended that my perception is “so wrong” that I could be worshiping something else in the presence of my statue. Sekhmet has a sense of humor. It’s not something that she shows to a lot of people because that’s just not who she is. She and I are both reserved people who keep ourselves in check in the face of losing our tempers. We tend to do this with humor. I’m not saying that Sekhmet’s current behavior is entirely due to her being upset about something, but like I said, she has a sense of humor. We both tend to do little things like that to convey a whole plethora of things: amusement, enjoyment, affection, etc. That’s just… how we are. Sekhmet is, in reality, showing Hwt-Hrw a lot of things by doing all of this. She’s showing affection and amusement in the face of the current living arrangement. (Originally, Hwt-Hrw was going to be beside my side of the bed but I decided that my primary patron deserved the space.) She’s also doing this in an effort to warm her up for me, as well. Hwt-Hrw has been incredibly austere with me in the last few days, even though she’s been very excited at having a home. It’s as though she’s waiting for me to do something or say something or give her something (I have no idea what, though) and in the mean time, she’s going to hold me at arm’s length. Thus meaning that I am pretty much attached to Sekhmet at the hip. I think another thing that bothers me about all of this is the fact that since not all of these people worship the aspects of netjer that I do, then how could they say for sure that what I’m describing isn’t a Sekhmet behavior? 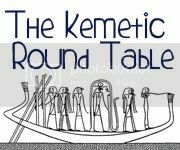 I mean, a lot of people that I’ve met on the Kemetic path have had Djehuty, Aset, Wesir, Wepwawet, Yinepu, and various other deities as a patron or are in connection with them. I’ve only met one other person who has worshiped Sekhmet as I do currently and she’s only just starting out! So, in reality, why couldn’t Sekhmet be doing these things? I’ve always thought that we were created in the image of Ra. As humans are shades of gray, so are the gods we are modeled after. If we have deep feelings and sense of humor and morality and five senses and ten toes, then why don’t the gods have the same attributes? People are stupid. Enough said.